Since Manhattan is only a short subway ride away I thought it would be a great opportunity to have a day in the city but not just any ordinary day in the city, I wanted to try to visit every hotel in the Time Square area, so I did just that! Just a few weeks ago I planned a grand hotel adventure all over the Times Square area, I made it my goal of going into every single hotel in Time Square I can get to in one day, and I succeeded. So let me tell you about my grand hotel adventure. You might think I aim a little crazy trying to go to all the hotels in time square in one day, well I am crazy and I did get to all of the major hotels in one day and it was amazing! If you have not read my Midtown Adventure, read about how I managed to see and go into eight hotels in just two hours. The Yotel New York is the only Yotel branded hotel in the United States. When you first enter the hotel you are not greeted by hotel staff members at a front desk instead there is a line of kiosks, a gigantic glass window that encases a giant robotic claw and three elevators. Instead of someone checking you in you check in yourself and you can give your bags to the robotic claw and it will put it into your hotel room which what Yotel calls your Cabin. I wouldn’t call this area the lobby since the real lobby is on the next level. Once you check in at the kiosk you take the elevator up to the actual lobby. The entire design is modern and futuristic with white walls and purple lights coming from random areas, it gives you the feel like you are on a rocket ship in space. If you don’t feel like checking in yourself at the kiosks downstairs you can go to the mission control desk and a hotel staff member will check you in. The hotel offers a little dining area with a snack station and a gym and of course a sitting area for you to relax or talk to other people. The Yotel is geared towards the new generation, and is new kind of hotel. This hotel is an example of what hotels will become in the near future. The Novotel is a great hotel if you are staying in the Time Square area. Like many Time Square hotels the lobby is not on the street level buy rather on the floor above. When you enter on the ground floor you are welcomed by two bell hops and walls that are decorated and lit up with neon color changing lights. Once you get to the lobby you enter a black walled area with dark purple lights imbedded in the walls giving it a futuristic effect. The front desk staff were very nice and kind to me even though I was not a guest and they explained to me the features of the hotel. After you left the black walled area where you check in, you enter a high ceiling area where the business center and cafe was. The pillars holding up the ceiling was covered in LED screens showing different effects which was a very nice addition to the lobby. There were tables and chairs scattered around the area for you to relax on or to use after you pick up your breakfast from the cafe. The Novotel New York is a modern funky hotel and I would definitely stay there if I had to be in the Time Square area for the night. 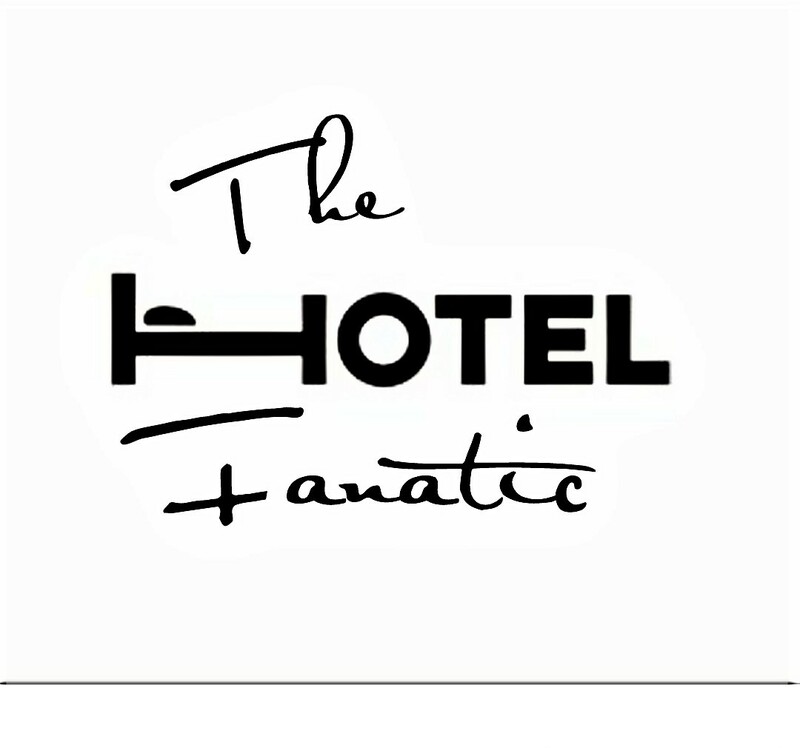 Since the post is already getting a little too long i am making it into 2 parts, so stay tuned for part 2 of this post by following The Hotel Fanatic on Facebook, Instagram, and Twitter !